A Motel 6 motel is seen Wednesday, Jan. 3, 2018, in SeaTac, Wash. Washington's attorney general is suing Motel 6, saying the budget hotel disclosed the personal information of thousands of guests to federal immigration authorities in violation of state law. Attorney General Bob Ferguson said at a news conference Wednesday that the motel divulged to the U.S. Immigration and Customs Enforcement the names, dates of birth, license plate numbers and room numbers of more than 9,000 guests at six locations throughout the state. The Motel 6 chain has agreed in a proposal to pay up to $7.6 million to Latino guests who say the company's employees shared their private information with immigration officials. A federal judge must still approve the settlement agreement filed last week in federal court in Arizona. 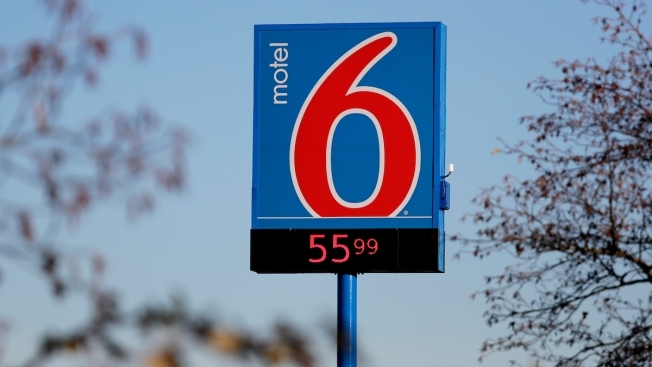 The agreement between Motel 6 and guests represented by the Los Angeles-based Mexican American Legal Defense and Education Fund springs from a class-action lawsuit filed in January. Fund president and general counsel Thomas A. Saenz said Wednesday the agreement will launch a long process allowing potential class action members to have a say in the case. Under the proposal, Motel 6 could pay a total of up to $8.9 million, including reimbursement of legal fees and administrative costs.